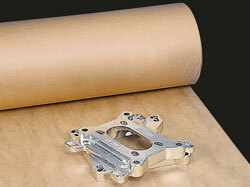 Waxed kraft paper protects products from moisture, oil and grease. Commonly used for lining wooden crates when exporting goods. NOT suitable for food use. 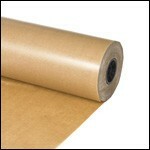 Product description: Waxed kraft paper protects products from moisture, oil and grease. Commonly used for lining wooden crates when exporting goods. NOT suitable for food use. Description: "Photo of a roll of waxed kraft paper"